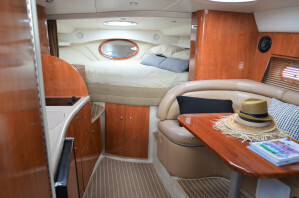 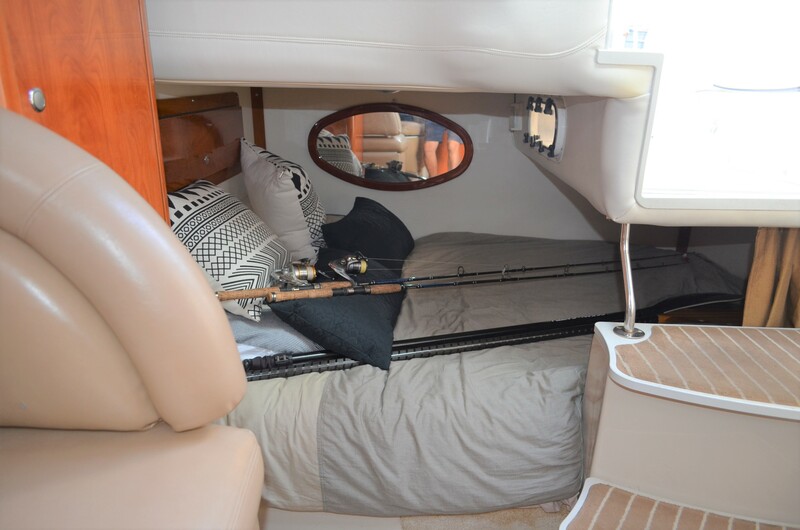 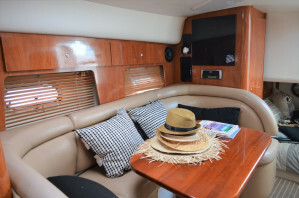 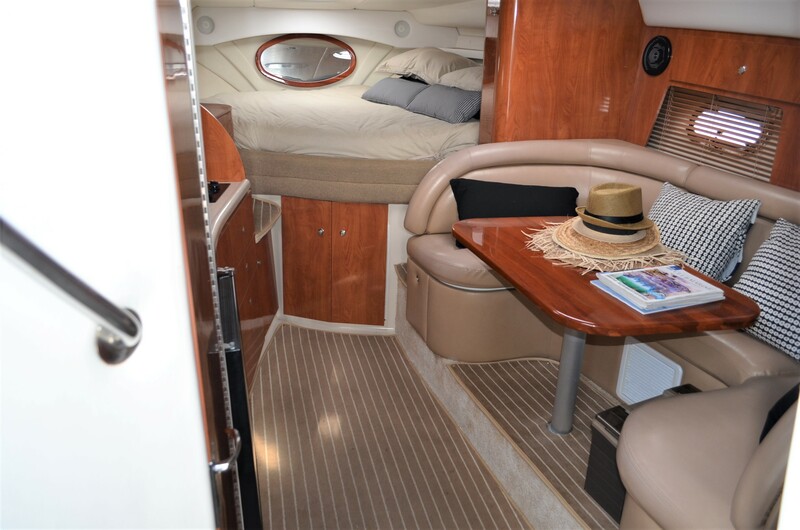 The 348 Four Winns sports cruiser is particularly appealing due to her ability to venture past the heads to nearby ports, coves and rivers. 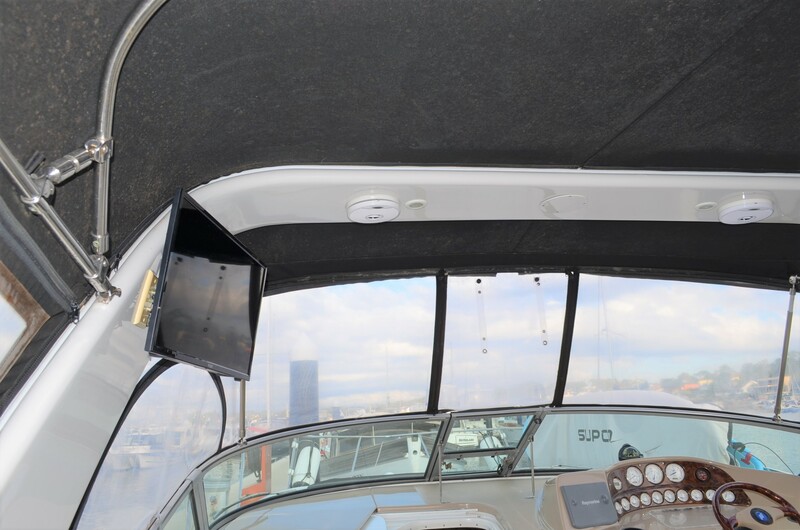 The strongly built, deep vee hull designed by the famed Raymond C. Hunt ensures a safe and confidence inspiring run. 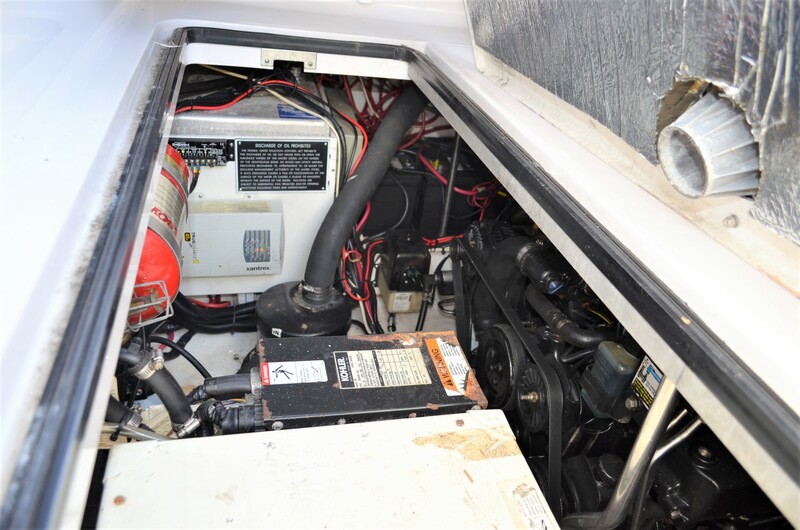 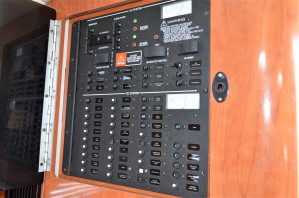 This 2005 model has in the past two years undergone significant upgrading and mechanical maintenance, ranging from new battery banks, through comprehensive leg servicing and major parts replacements, to new manifolds, risers and many engine parts upgrades. 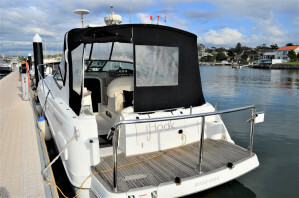 She is ready for her new owner. 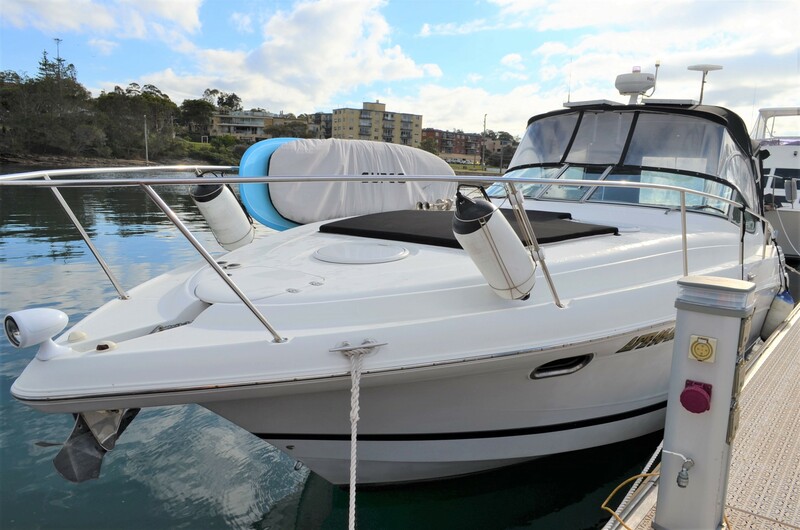 Twin 350mag Mercruisers give her a serious turn of speed with a comfortable and economical 20 – 24 knot cruise speed. 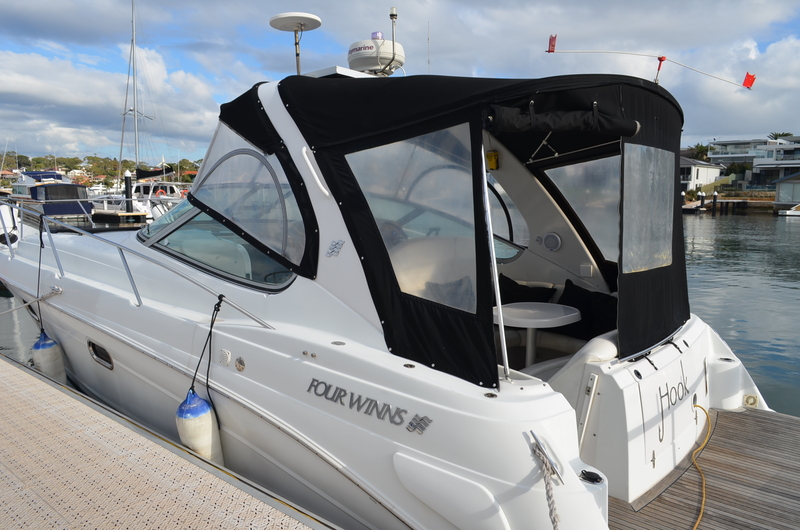 The signature Four Winns styling, with pronounced reverse sheer in the bow and a rakish sheerline aft, further enhance her go fast and purposeful stance. 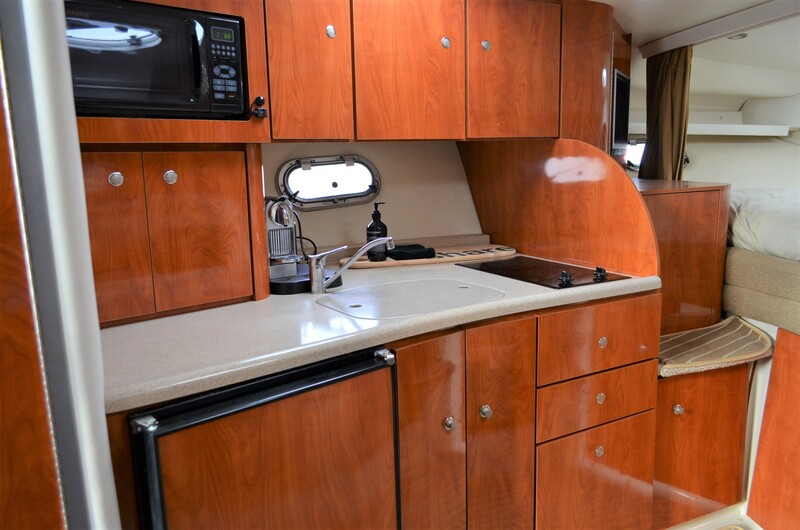 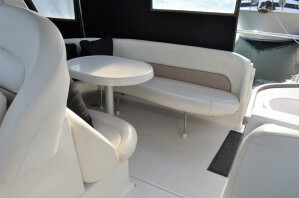 The obvious quality in fixtures and fittings abounds throughout the vessel. 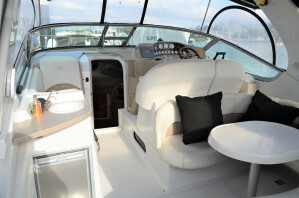 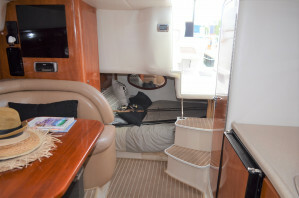 The oversized boarding platform,Cherrywood timber finishes, Corian counters, genset, airconditioning and Faria gauges all not only add to the luxuriance and ambiances of the 348, but to the ease of ownership and manouevering of a vessel of this calibre. 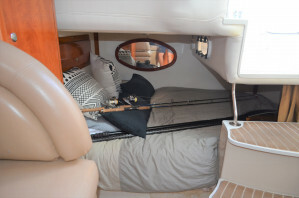 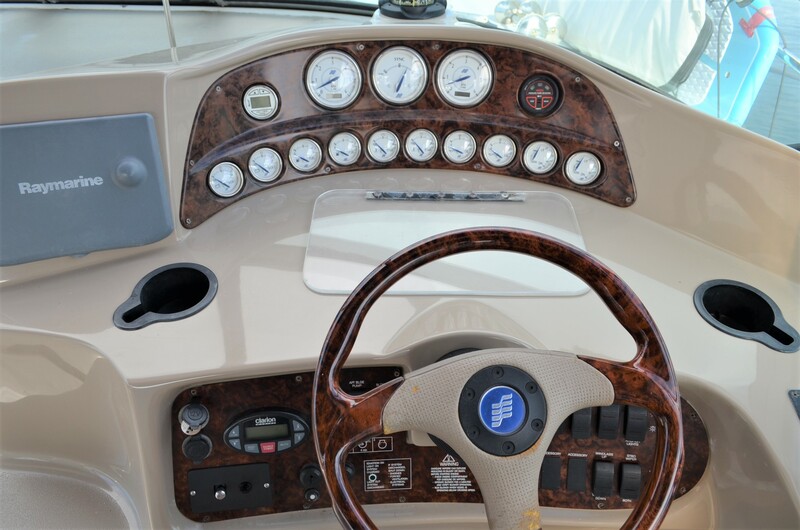 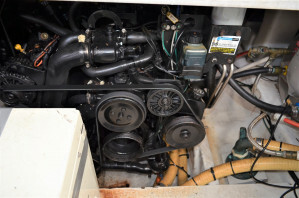 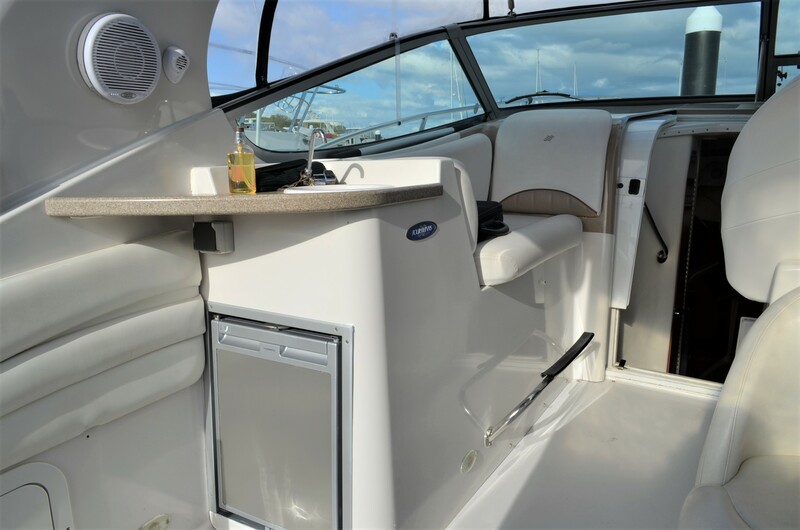 So, if you are giving serious consideration to Searay, Regal, Bayliner, Riviera or similar sports cruisers, give the Four Winns 348 a look over. 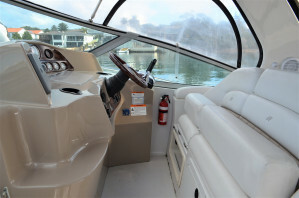 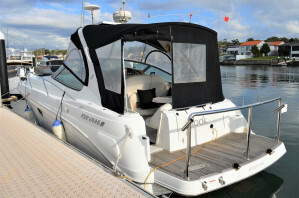 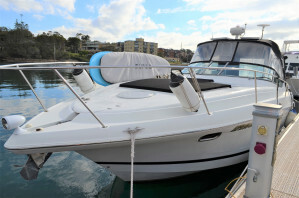 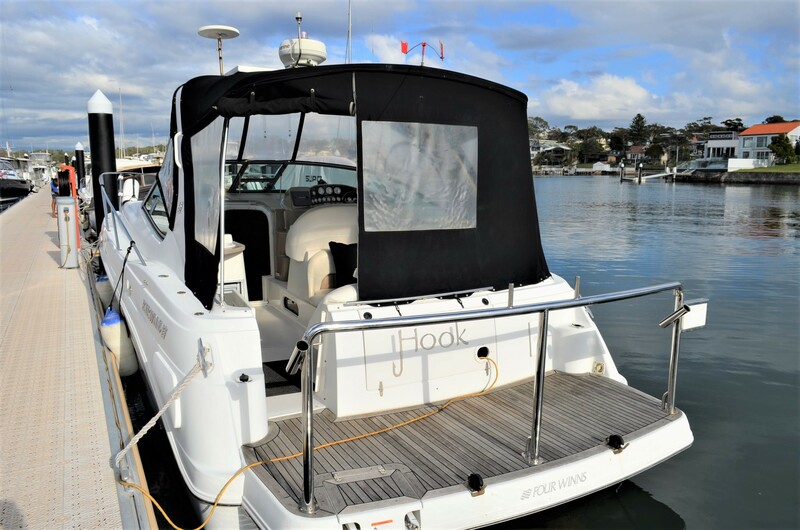 Ring the best boat brokers in Sydney to arrange a private inspection of this well priced and classy vessel. 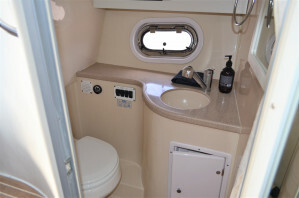 For your convenience, we are available 7 days by appointment.